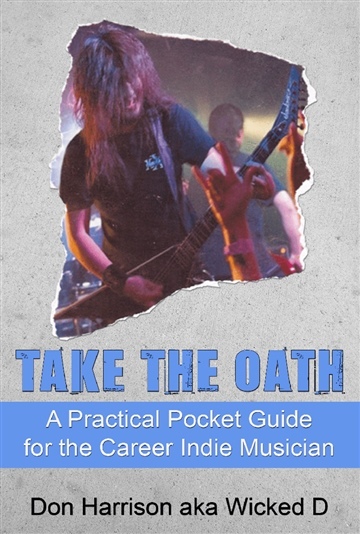 Based off the 'Oath of the Indie Musician' this book is a first hand account on what had worked, not only for the author, but for other artists he personally knew whom were making a sustainable income performing music. Step by step, detail by detail, laid out in a simple, easy- to-understand language. I'm also the owner of Networkordie.com and author of "Oath of the Indie Musician" which has been dubbed the "Artist Development Program in Verse Form." "Wow! Good stuff, congrats! Really good info in there. I think every indie musician should take this Oath!" "In the social media age, emerging musicians need to approach their work, their goals and their career with a more business-savy mindset than ever before. No longer will the saying 'talent is everything' hold as much klout, as the lines between DIY musicians and DIY entrepreneur are further blurred. Don has done an incredible job outlining what it takes to be a DIY musician for today's emerging musicians, and should be used as a guideline for anyone trying to take an educated, proactive approach the music industry." "The Oath is seeped in time-tested principles of how to properly treat people. It's a meaningful resource that should be kept alongside any musician's marketing plan. When artists embrace the concepts taught in The Oath, their efforts will be much more gratifying and effective."